It's New Years Day, and while the majority of the population are sleeping off hangovers, a little car speeds it's way towards Lincolnshire. 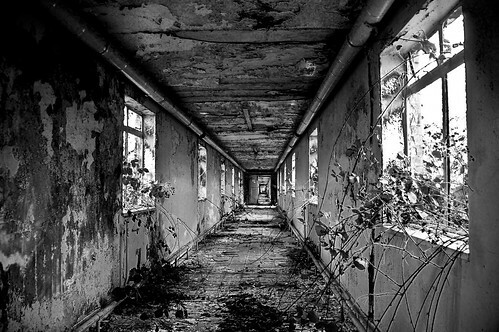 It's day one of a New Year's roadtrip, location: Nocton Hall military hospital. It's possibly the greyest day of the twenty first millennium, and bone numbingly cold. 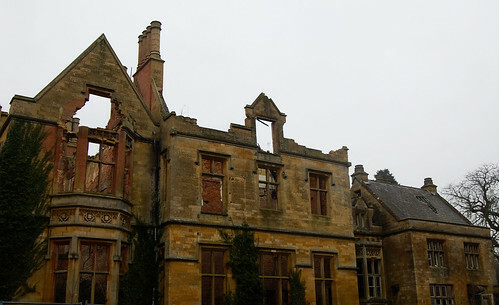 Nocton Hall is particularly unlucky with fire. The first fire completely flattened the first hall in 1834, however seven years later, in 1841 it was rebuilt. 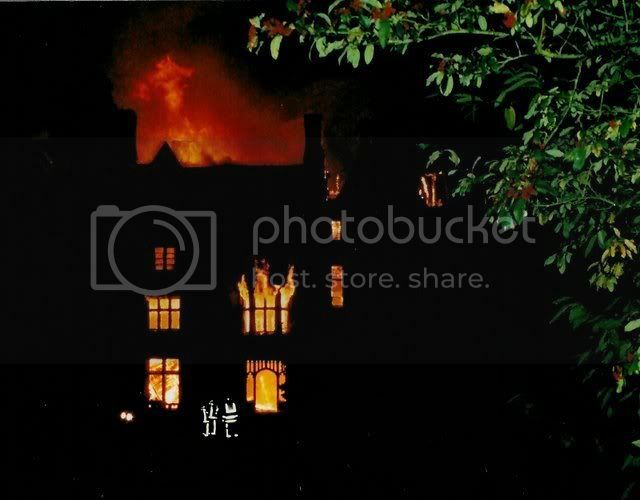 Disaster struck again shortly before midnight on Saturday 24th October 2004 when the Hall was set ablaze by arsonists. At its height, about 70 firefighters attended the blaze.A third fire happened in 2005. Thankfully the horned demon had gone out when we arrived. This place is so dangerous. The roof timbers had collapsed in 2004 along with much of the floors. A small section proved inaccesible today due to pesky locals. Sadly for us, these included an air-raid shelter in the cellar, which looked super dodgy, with a rubble avalanche iminent. 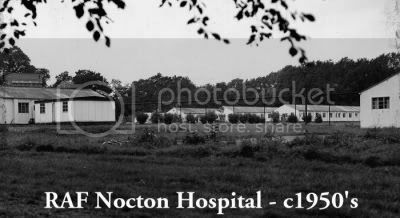 Wounded American soldiers were treated at Nocton Hall after their arrival into the war in 1917. 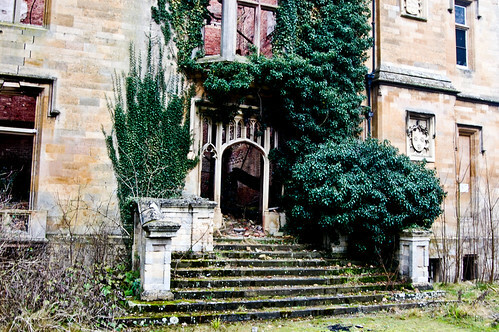 Nocton Hall was acquired by the Air Ministry in 1940. 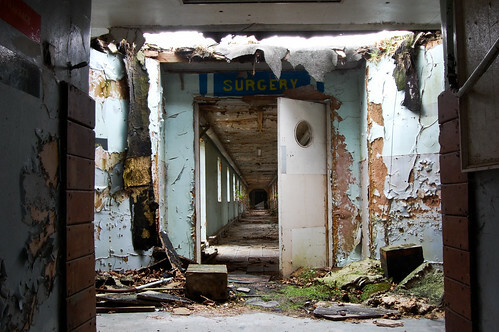 In 1943 it became the United States Army Seventh General Hospital. 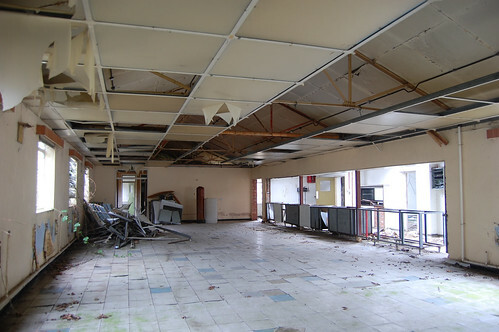 Many new buildings were constructed and the hall was used as the Officers Mess. 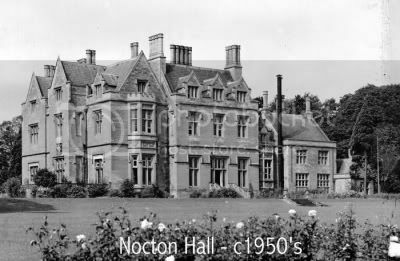 Nocton Hall in 1954, after fire 1, but before fire 2 and 3. Much of the land surrounding Nocton Hall formed part of the estate that grew potatoes. 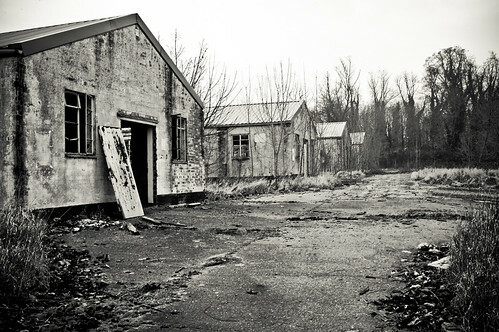 By World War I, many of the men who worked on the estate had gone away to fight, and Norman Hodgson, the land owner converted large potato houses on the fen into barracks for prisoners of war. The POWs were invaluable to the estate to boost food production during the war. 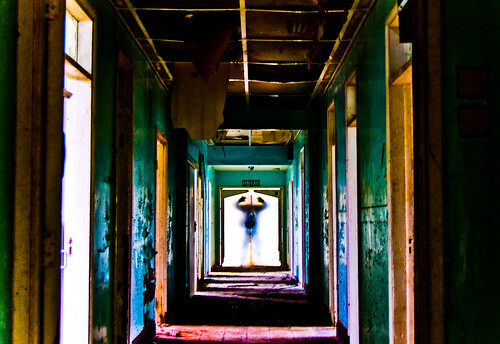 After the war, it became a military hospital, and was mothballed in 1993. 35 wounded American soldiers from the first Gulf War were treated there, but it closed for good in 1995. 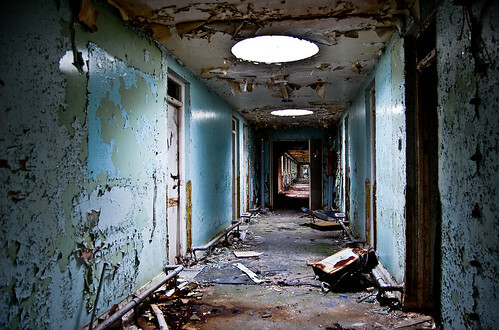 Inside the military hospital is corridor heaven. My favourite snap of the visit. Going through the whole length of the site is one of the longest corridors I've ever been in. It varies in condition from good to peeling. I prefer peeling. Much of the wards are the same, but occasionally the plastic doors remain. Like all visitors, who could resist? Apologies for lunacy with the saturation tool. 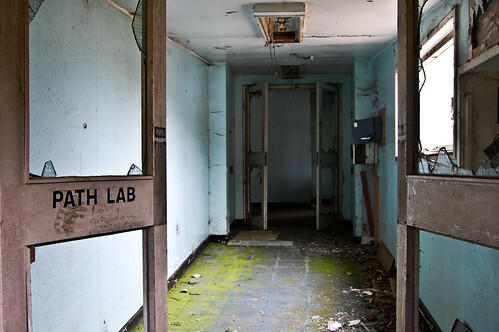 Little remained of the lab. A few knackered benches, the bottom of a fume cupboard, and these cool doors. 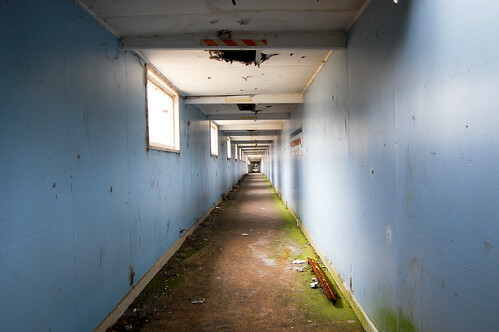 It's the corridor that features on the vast majority of my photo's. It's easy to see why. 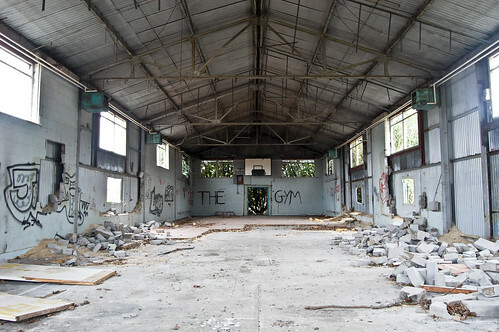 Not sure what this room was used for. An attempt had been made at some undetermined time in the past to get the site ready for a paintball type activity. It doesn't look like they had got very far. A really enjoyable place to test drive a new camera, and lovely explore. Here's the site sixty years ago.